The new McLaren Senna has a mid-mounted twin-turbo 4.0-liter V-8 that pushes 789 horsepower and 590 lb-ft of torque. It can go from o to 60 in 2.8 seconds. Its LEGO counterparts… can’t. But they’re still really cool. If you can’t afford the $837,000 base price for your own hypercar, don’t worry! The car manufacturer has teamed up with the world’s top plastic brick designers to make an affordable version the rest of us can enjoy. 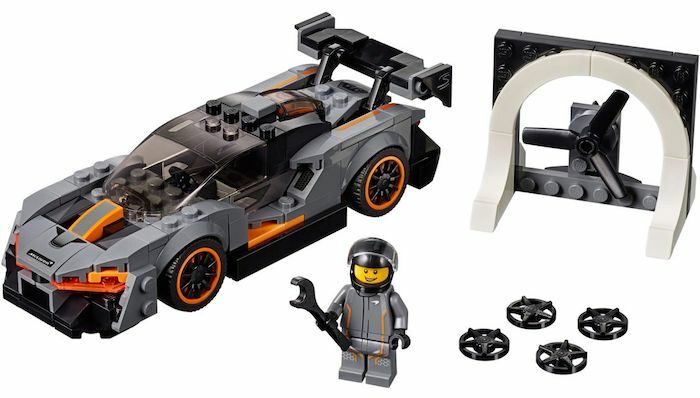 You can pick up the new LEGO Speed Champions version for less than a tank of gas. 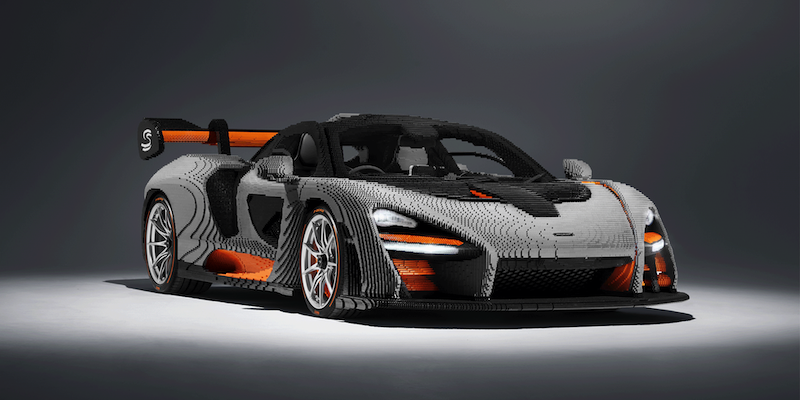 The two companies went a bit further than the 1″ kit, and built a 1:1 scale LEGO Senna. The build took a team of 30 people over 2,500 hours to take from design to car. 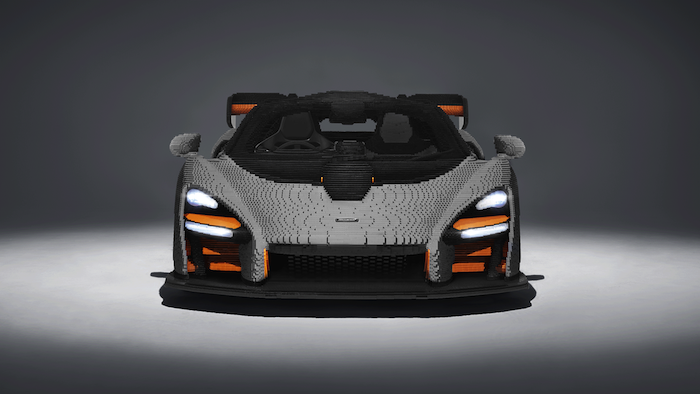 It’s made of more than 468,000 bricks, has working lights, Pirelli P Zero Colour Edition tires, real Senna seat and steering wheel, and whoever is in the driver seat has the ability to control the engine. It weighs in at nearly 1.9 tons – a full 771 lbs more than the real thing. 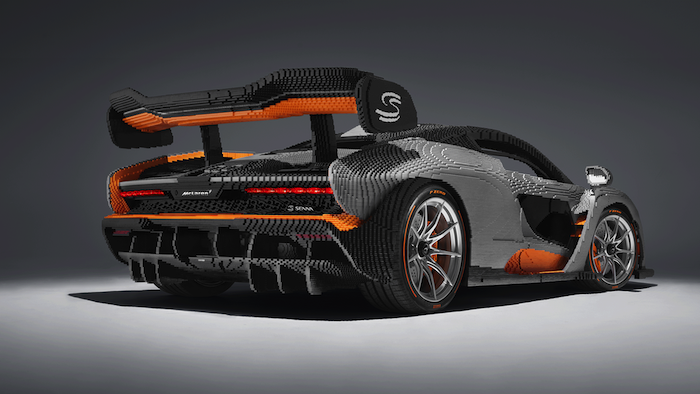 Shmee150 aka Tim Burton – super car owner and enthusiast – got a close up look at the build when he drove his Senna (lucky man) to the McLaren Technology Center in Surrey.